When Belmore Browne and Herschel Parker had to turn around just 50 metres short of what would have been the first ascent of Denali, the highest peak in North America, when they were overtaken by a storm in 1912, it would have been hard for them to imagine there could be any consolation in such bad luck. But sometimes the mountain is trying to tell you something, and when that happens it’s always worth listening. It took Browne and Parker about a year to find out the significance of its message on that occasion. They returned to their high camp but no longer had enough food for another attempt, so had to retreat. 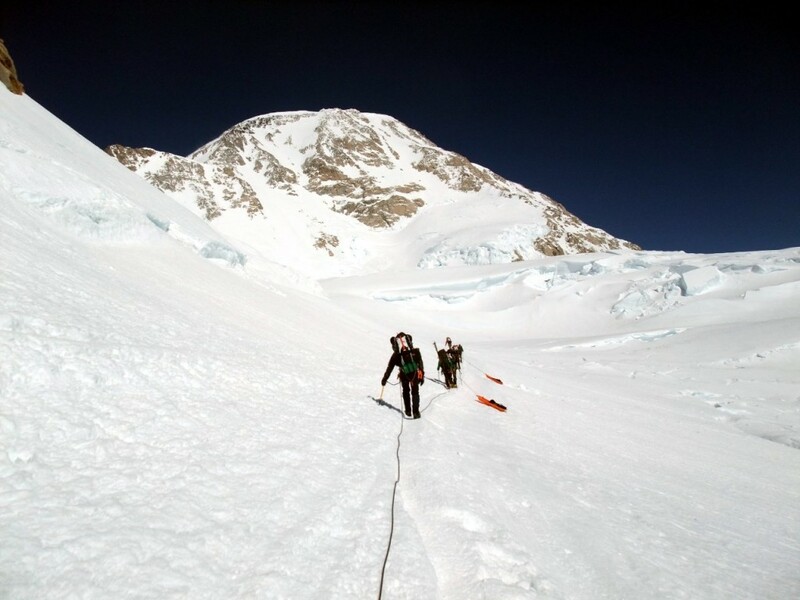 Two days after they left a huge earthquake shook Denali, and when Hudson Stuck and Harry Karstens came by the following year it took them three weeks to climb the Karstens Ridge, a feature which had been straightforward for Browne and Parker the previous year. The earthquake had caused the ridge to become a tumbling mass of crumbling ice blocks, and if Browne and Parker had stayed on the mountain then it’s very likely their bodies would still be up there. After spending four days in a storm at our 5250m high camp last week while trying to climb Denali’s West Buttress, I was one of the members of our team who decided enough was enough. We had run out of time, we still had a long hard descent ahead of us, and needed a healthy slice of luck if we wanted to leave the mountain safely, catch our flights home and return to work on time. Our final attempt to reach the summit ended just 50 metres from camp in a freezing cold blizzard. The previous day a team of army parajumpers had made a valiant overnight attempt to reach the top, but were forced to concede defeat nearly as close as Browne and Parker. The weather appeared to be getting colder, there was no promising forecast, and it was pretty clear to me our luck – what little we had of it – had run out. I’m not keen on frostbite, and the mountain will always be there another year. There was a twist in the tale. 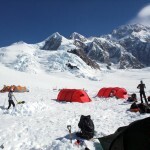 I was climbing Denali with the American Alpine Institute (AAI), and four hours after we abandoned our attempt another AAI team set out from high camp, apparently to climb up to Denali Pass and see if there was an improvement in the weather. Seven of their team continued all the way to the summit. On the face of it, it looks like we made a terrible misjudgement and missed our one and only slim chance of climbing Denali, but I don’t agree. I was convinced the mountain was trying to tell us something, and despite the performance of the other team I believe our decision to retreat was the correct one. I will explain why I think this in my full report on the expedition next week. 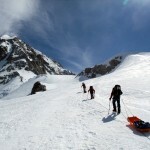 Success and failure are part and parcel of mountaineering. I’ve experienced plenty of both, and I no longer feel the crushing sense of disappointment I used to have when a summit isn’t reached. 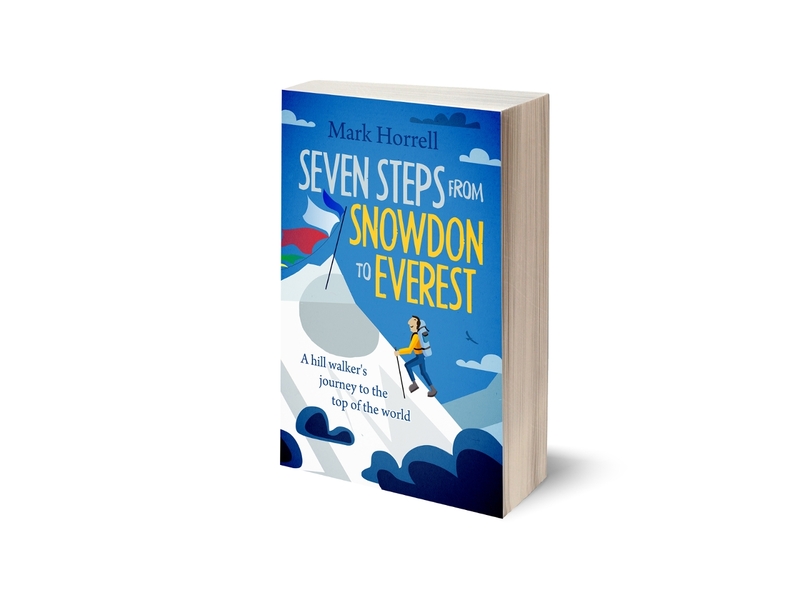 In fact, since November 2010 I’ve managed to reach the summit of every mountain I’ve tried to climb – including Aconcagua, Manaslu and Everest – and this run of good fortune was certain to come to an end eventually. In any case, there is often a silver lining in failure. In 2005 I tried and failed to climb Aconcagua by the boring old Horcones Normal Route, and for five years I thought Aconcagua was the dullest of mountains. Five years later I returned and made a successful ascent by the much more picturesque Vacas/Relinchos False Polish Route, something I would probably never have done had I climbed the mountain first time around. 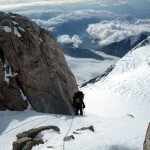 Denali has many routes of its own. One which appeals to me most is the Muldrow Glacier Route on the north side of the mountain, a route steeped in history, including all of Denali’s early ascents. There seem to be very few commercial expeditions to this side of the mountain now, but where there’s a will there’s usually a way. I would certainly like to return again some time, once I’ve recovered from the blizzards, the high altitude starvation, the heavy duty load carrying, and being attacked from behind by a 30kg sledge during the descent. Oh, and I also fell into a crevasse, which is rarely a pleasant thing. Despite the setbacks I thoroughly enjoyed the expedition, which is of a level of intensity few other commercial expeditions can match. Summiting is always nice, but it’s the scenery that draws me to the mountains, and the Alaska Range is truly spectacular. More next week. I applaud your decision to turn around and not summit. I’m a firm believer that if some inner sense tells you not to complete task then by all means you should follow that advice. It’s gotten me out of trouble several times. There is always next year! Excellent decision. It’s always good to listen to the mountain. I climbed Denali in 2005 by the Muldrow Glacier route…it’s fabulous, wild, and isolated and you will love every minute of it when you decide to return to Denali that way. Been there Mark. Tough, but good call. I feel silly now that I see you have already climbed Denali. I have been on an expedition for several months myself and am lagging on email correspondence. Good call on Denali. You will return and summit in safer conditions. No worries, John, I’m often doing the same thing myself. On an expedition for several months: that must have been a biggie. Did you get to Gasherbrum in the end then? No Mark, we attempted Broad Peak instead. And it was quite the disaster. As you may have heard we lost three of our fellow expedition members, Iranians, who perished attempting a new route from camp 3. Rescue efforts have been halted as of today. In addition, my climbing partner fell descending a fixed rope between camp 2 and 1. He shattered his leg and ankle, it was a complicated and 6 day evacuation. He is recovering in Georgia. I accompanied him back to the states. Combine that with what happened on Nanga Parbat while we were there and this trip caused considerable consternation amongst my family and friends. So don’t feel bad about Denali. I’m glad you finally got to experience that mountain though. When I have tough climbs like this last one, I drift back to Denali in my thoughts because it is such a beautiful and pure mountain. So sorry to hear you lost team mates, John. I’ve been following the story since the weekend and it’s not been a happy one. There are also some Spanish climbers missing on Gasherbrum I. It’s not been a good year to go to Pakistan, and I fear the country will be off limits for a while after what happened on Nanga Parbat. I hope all this doesn’t put you off climbing the big mountains, though I imagine you will need some time to reflect. I’m very lucky not to have been involved in an expedition where there were fatalities, so can only imagine what it must have been like. I hope you feel able to return to Pakistan if and when things become more stable there. The mountains are amazing. Yes, I’m sad for what the events on Nanga Parbat will mean for the Balti people whose lives are dependent upon income that is going to dissipate as a result of the Taliban’s evil. I will return to the big mountains but will probably let Pakistan settle for a while as will many climbers, I’m afraid. You are correct in that those mountains are amazing. Hi Kate, thanks for the kind words again. 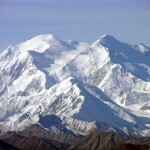 It’s not hard to see why Denali is so popular – not only is it the highest in North America but it’s a great mountain! 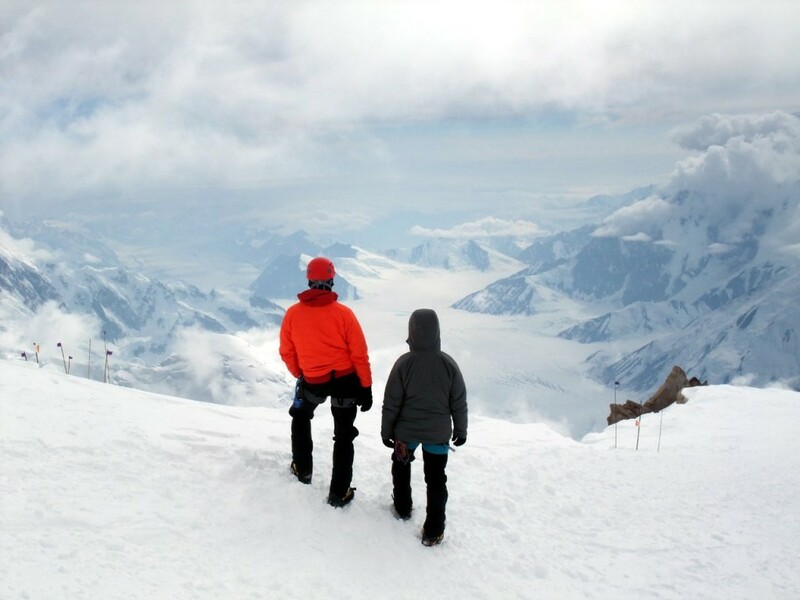 I was lucky to share this experience on Denali with Mark, and I couldn’t agree more with his sentiments. I’m disappointed that we didn’t summit, but the mountain had made up it’s mind. I’d rather be home safe than stuck at 17,000 feet for an undetermined amount of time….or worse. Cheers, Eric, completely agree. A pleasure to climb with you, and I hope you and Courtney decide to return someday (and I hope you don’t mind me using a photo of your rear views to illustrate this post!). Glad you’ve been reunited with your iPad.